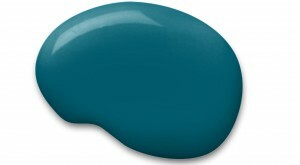 Sherwin Williams has forecasted 2018’s hottest paint color of the year to be Oceanside SW 6496, a green-blue statement color with deep values. Sue Wadden, director of color marketing at Sherwin Williams, described the shade as a tremendously versatile color that harmonizes with other diverse color groups. The color seems to be versatile enough to be paired with any number of other colors from hot pinks, yellows to navy or sky blues. The three main coordinating colors, according to Sherwin Williams’s website, would be a lighter blue called Blue Horizon, Extra White which is a pure white and Limon Fresco, a deep yellow. Whether you are painting a room this color or using it as an accent shade, there are several possibilities for home decorating with this hot color. 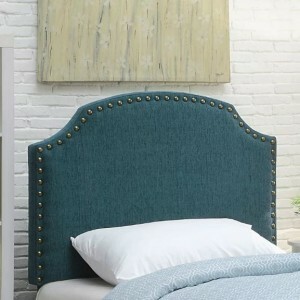 The headboard below, Coleshill Upholstered Panel Headboard, found on Wayfair’s website, would be a great option to accessorize with the noted color. Another way to decorate with this accent color would be decorative wall art. The hand-painted wall art, below, can be found at Pier 1 and is cohesive with Sherwin William’s color choice. 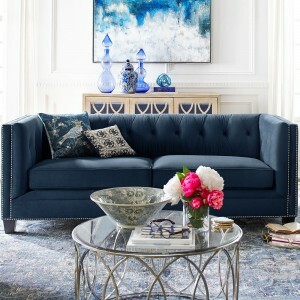 We are excited to see the new trends and styles paired with this Oceanside color in the coming year. Other paint companies will be announcing their paint choices for 2018 over the next few weeks, keep an eye out for Helen Adams Realty’s future blog posts about popular colors for the New Year.